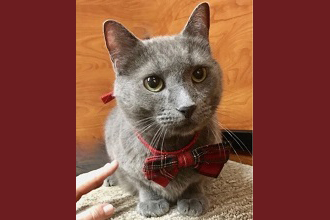 Oct. 3, 2018: Big Papa is an eight-year-old Russian blue mix who was saved from being euthanized at a local shelter. He is a true gem of a kitty. Super affectionate and incredibly sweet, Big Papa is as gentle as they come and has a completely laid-back personality. Big Papa loves children, dogs, and other kitties and is purrrfectly litter-box trained. He would make a wonderful companion or addition to any family. 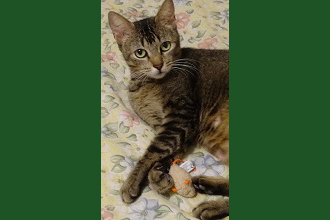 Healthy, neutered, and fully vaccinated, this handsome fellow is ready and waiting for his forever home. If you would like to meet Big Papa, please email CLOAKING or fill out an application with Posh Pets Rescue at http://poshpetsrescue.org/applications/.